Attention Flipkart, Snapdeal and Amazon…there may be another heavyweight competitor around the corner! 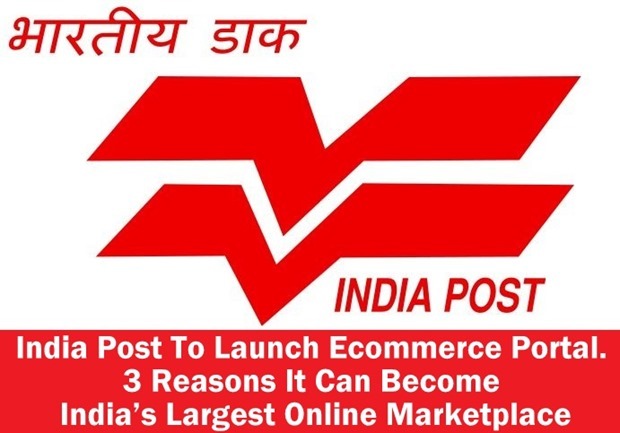 India Post, having one of the largest logistics network in the world, is now all set to launch their own ecommerce portal, which will work as a market place to connect buyers and sellers from all over the country. Although still in the planning phase, as per reports coming in from ET, the portal would be live within next 6 months. India Post’s ecommerce portal is part of their IT modernization plans wherein they are spending close to Rs 5000 crore on upgrading their IT related infrastructure and enhancing their web presence. Additionally, Rs 2000 crore has been allocated to purchase new vehicles for speedy delivery of posts, and products. India Post’s ecommerce portal would be a tightly regulated market place, where India’s regional specialties would be showcased and traded. Exotic items such as “Tea from Darjeeling, Mango from Malda in West Bengal or Saffron from Kashmir” will be offered to customers from authorized sellers. India Post is already in talks with Government departments such as Spices Board, Tea Board, Cashew Board to make sure that only high quality items are listed. As Mr. Samuel said, “quality trading of quality items only”. Although private ecommerce portals such as Flipkart and Amazon have billions of dollars of war chest to make deep inroads into Indian ecommerce market, India Post’s online shopping portal has the potential to become India’s biggest market place. India Post is world’s most widely distributed postal system, with 1.5 lakh+ post offices all over the country. It has an army of 4.6 lakh employees, who are distributed across every nook and corner of the country. An average post office serves 7000 citizens, and 21.23 square kms and the most crucial factor: 90% of all post offices are in rural areas. With such massive infrastructure and penetration, India Post can beat all existing online market places in India; in fact, if we visualize its reach, then it can compete with Alibaba in no time. Last year, India Post successfully processed cash on delivery orders worth Rs 280 crore for other ecommerce portals such Snapdeal and Flipkart. As per recent study, 50-70% of all ecommerce orders are cash on delivery medium, and once India Post launches their full-fledged ecommerce operations, they can capture this segment, overtaking all existing players. Earlier we had reported that India Post has turned into a savior of Indian ecommerce industry; but now, it seems that can dominate it. India Post has recently amended the “Post Office Savings Bank General Rules, 1981”, which has empowered them to issue ATM cards to their saving bank account users. Thus, Post Office has now almost transformed into a Bank. Although only selected CBS enabled post offices has ATM cash withdrawal option, but as part of their IT modernization drive, soon all post offices would be covered under this scheme. Banking industry is closely watching the developments, as the Government can very soon give final approval to convert India Post into a full-fledged bank; and once that happens, it will become Asia’s biggest banking platform, overtaking Japan and China, which are currently world’s largest Postal Banking platforms. In the year 2012-13, India Posts had generated revenues worth Rs 9365 crore has atleast 10 times assets and deposits. Imagine a scenario where both the buyer and the seller has bank accounts with India Post: not only the transactions on their ecommerce platform would be seamlessly processed, but also India Post would be able to provide easy & fast credits and loans for their customers. A whole eco-system can be created, just like Ebay did with Paypal, where both buyers and sellers are protected and chances of fraud are diminished. In case of India Post, it would be a step ahead, as they would be the official banking platform as well. India Post was founded in April 1st, 1774, and has been operational ever since. Department of Posts comes under Ministry of Communications and Information Technology of the Government of India. It is a well-organized structure having an apex body known as Postal Service Board which consists of a chairman and six board members covering: personnel, operations, technology, postal life insurance, human-resource development (HRD) and planning. When such a dedicated organization starts a digital business platform, then it will attract trust and confidence. Buyers and sellers from all over the world can trust and rely on India Post because they will have the Government backing, an organized managed, massive infrastructure and an inbuilt banking system. The above three reasons are coming out of an optimistic digital marketer, who understands that the success solely depends on the willingness to serve and to increase productivity. On the other hand, India Post is also notoriously infamous for being an over-weight, clumsy organization where no one takes business seriously. A recent example being Maharashtra CM missing the Obama dinner, only because India Post failed to deliver his invitation in time! India Post needs to shed their old fashioned outlook, and embrace technology in a big way. Instead of hiring candidates from other Government organizations, they should invite technology experts from the IT industry and invest on technology. They will have understand that ecommerce is now a technology business, and they have to realize that they have the required infrastructure and manpower to make it really big. "India Post To Launch Ecommerce Portal. 3 Reasons It Can Become India’s Largest Online Marketplace", 5 out of 5 based on 1 ratings. Yes sure it can takeover online market. Their network is very great that is why flipkart, snapdeal , shopclue and buyonkart.com is using their services.